Brief Synopsis – A hypochondriac who believes he is dying gets into more trouble when his wife begins to believe that it’s true. My Take on it – This is another film that I chose for this series based solely on the actors without knowing anything about what the story was about. Rock Hudson and Doris Day have amazing chemistry together here and are able to work off one another to keep things so enjoyable. The premise of the film is lots of fun and works throughout even at the junctures when they choose to get into very dark humor territory. They do a great job letting the characters evolve a bit when they seem to get a differing understanding of the important things in life as things are slowly revealed to them as the story moves along. 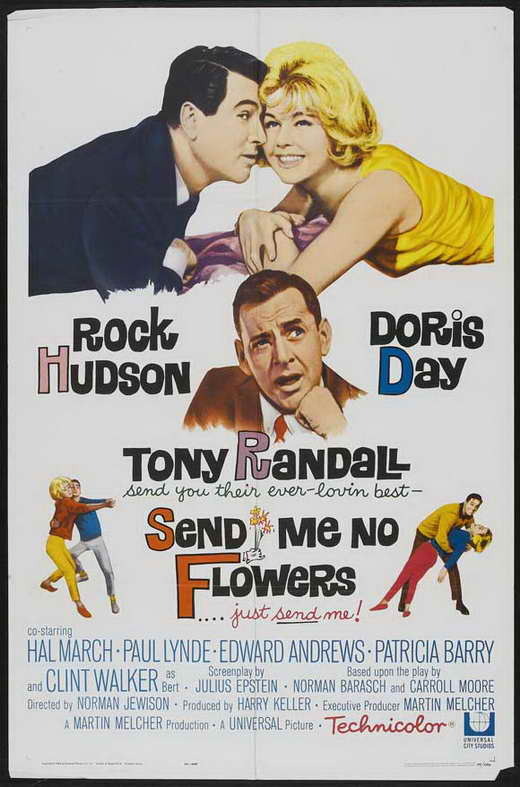 Tony Randall is great in the role of the sidekick who yearns so much to break free of the chains of being in that role by trying throughout the film to reach leading man status. This is a great screwball comedy that is able to keep things so much fun from start to finish. Bottom Line – Hudson and Day are once again perfectly paired together and that helps this film work so well. The premise is extremely fun and works really well even when they venture into some very dark humor. Really liked the way that the characters begin to get different understanding of the important things in life as the story moves along. Randall is great in the sidekick role as someone who wants to be free of that kind of role as his character begins to yearn and strive for the lead role. Works really well as a screwball comedy and keeps things enjoyable from start to finish. Recommended!